Fresh Lime-green foliage with coppery tints adorn this magnificent evergreen shrub, here in the very rare white flowering 'Snow Panda' form. Widely grown in China and Japan, Loropetalum features attractive compact growth and is a spectacular plant that should be more widely grown. The numerous ice white flowers, which appear in spring, and often again in late summer contrast well with the attractive foliage that provides fabulous year round colour. 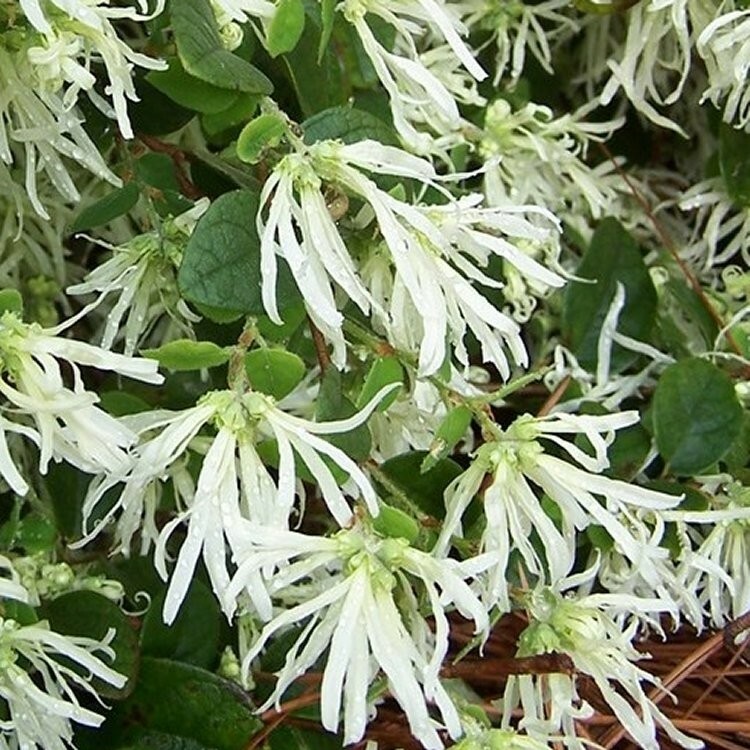 Loropetalum are also known as Chinese Witch Hazel and will do best in a slightly sheltered spot in full sun on well drained soil. 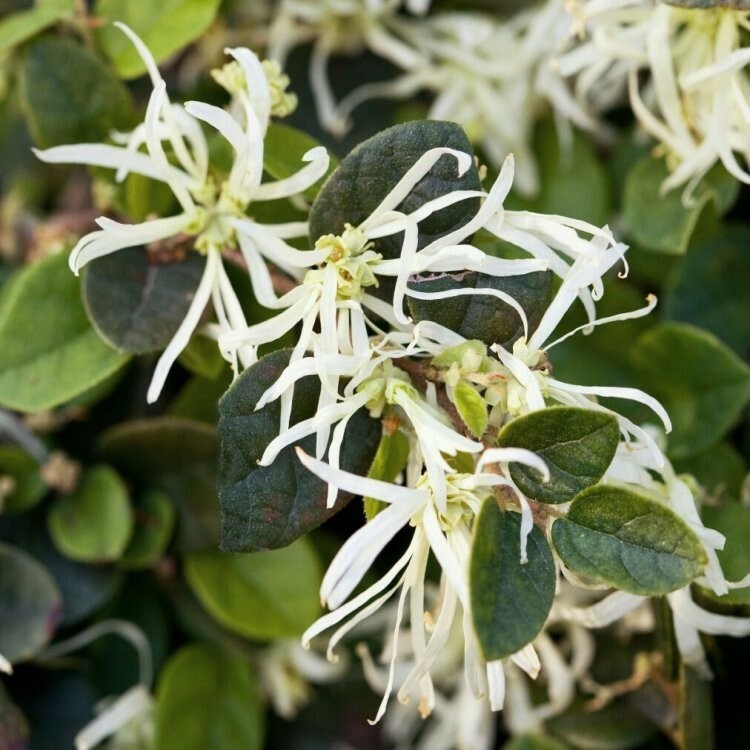 The flowers of Loropetalum are also delicately scented, adding to the charm of the this handsome hardy shrub that will provide a dazzling display in spring, and a beautiful backdrop to other plants through the rest of the year.